The 65 unit undergraduate Social Work major is designed to apply to a wide variety of social work practice settings. The preparatory course work for this major includes a basis in the liberal arts requiring classes in human biology, economics, public health, psychology, sociology, statistics and Social Work. The upper division curriculum is intensive and exciting. It encompasses course work in Social Work practice, human behavior, cultural pluralism, social policy, macro level practice, and research. Elective seminars are available in specialized fields such as child welfare, aging, alcohol and other drugs, and family studies. A field work practicum experience is also required. The minor in Social Work consists of 24 units and is strongly recommended to all students with majors in the social and behavioral sciences who wish to broaden their competencies in a related discipline. All new students to this program are considered pre-majors and are assigned the pre-major code. The code will stay in effect until students complete the 21 unit preparation for the major coursework described in the Handbook and Catalog. Pre-majors may also enroll in the upper division out of department electives, and SW 350 and SW 360. The approved “out of department electives” are described in the social work undergraduate handbook. Two of the pre-major courses (SW 110 and SW 120) are available to community college students through “cross enrollment.” SDSU currently has an articulation agreement with San Diego City College for these courses (HUM 110 and HUM 120) and Cuyamaca College for SW 110 and 120. The BASW Program is a block program, meaning almost all of the courses are offered once a year and it is very important to stay in sequence. If all 21 pre-major requirements are not met prior to beginning your studies at SDSU, it is very likely that it will take three years to graduate. All pre-major courses must be completed before declaring a major. Students must complete a change of major form in order to take SW 370, SW 382, SW 361, SW 381 and SW391. Students must change to the major code prior to registration or the computer will not permit access to any social work course. Students who have current or past involvement with the criminal justice system, please note: We cannot guarantee you an internship site as we have limited choices for those in this situation. Also, students who legally use marijuana may not pass drug tests that many of our agencies require. We work with students to the best of our ability however some students may end up having to switch majors if they are unable to be approved by an internship agency. If you think you won’t be able to pass a background check, please notify Advisor Jennifer Cosio to discuss options. Please notify the Field Office as well if you think this may be an issue for you, well before applying for an internship. See the BASW Curriculum for a complete list of courses for the BASW.  The following link enables incoming freshmen to “map out” their major academic plan: SDSU MyMap. Please see the Undergraduate Advisor if you are a transfer student for assistance with mapping out your academic plan. 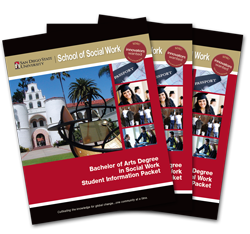 Please see the SDSU General Catalog for additional information about graduation requirements such as: graduation writing assessment, foreign language, and general education.